Illinois State University in Normal has had a long relationship with Special Olympics Illinois. In 1977, the organization moved from Chicago to Normal and was housed at the ISU’s University High School until it moved into its current headquarters in 1989. Over the years, the university has hosted Summer Games and the State Basketball Tournament, ISU students have volunteered and are employed at various SOILL offices, and ISU employees have served on the organization’s board of directors. Recently, Illinois State University expanded its relationship with our organization. What began as a conversation about how to expand the university’s relationship with SOILL resulted in the university’s Marketing & Communications Department producing a 30-second public service video. SOILL Heartland/Area 6 Director Jill Bertelsen approached the university about sponsoring the Bloomington Polar Plunge early in 2015. Many of the teams that participate in the Plunge at Miller Park are students at the university. “Special Olympics made a very compelling case for a partnership,” said RC McBride, Assistant Director of University Marketing & Communications. It was determined that the department would produce a video to further promote the organization. 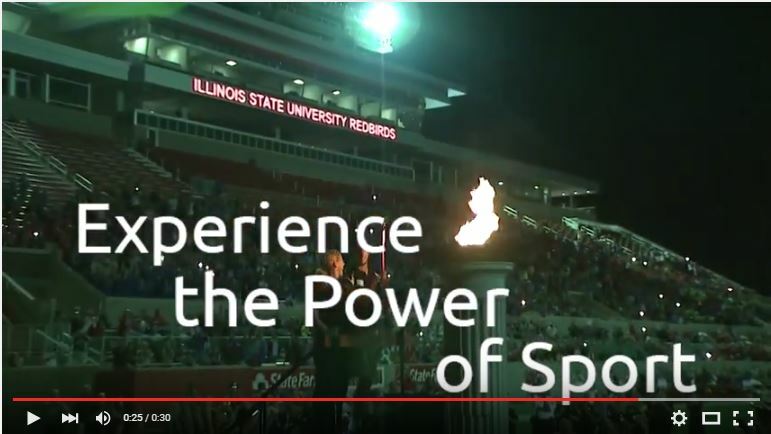 Filmed at the 2015 Summer Games at Illinois State University and delivered at the end of June, the video urges viewers to “Experience the Power of Sport.” View video here. McBride and UMC Videographer Adam Rahn assigned the project to Illinois State student Stephanie Burns, who, with some supervision and guidance, did the bulk of the shooting and editing. Before helping with this video, Burns had never worked with Special Olympics Illinois. Filming took place at a variety of events at the Summer Games. After about a week of editing, Burns had her footage cut down to a 30-second video. 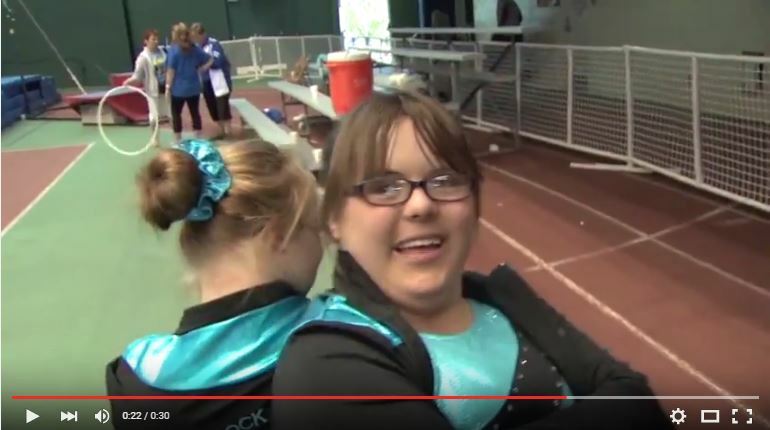 The video profiles the versatility of the athletes and the events Special Olympics offers at Summer Games. “This video is our gift to you (Special Olympics Illinois),” said McBride.